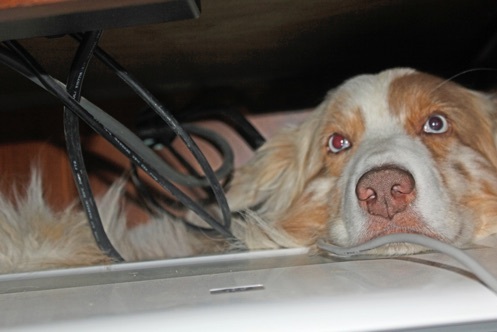 Archie (UKC Ch Sazbrat Shindig OA OAJ AD FD70K) was a red-merle Australian Shepherd. 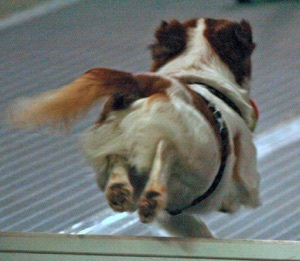 He lived for the sport of flyball. 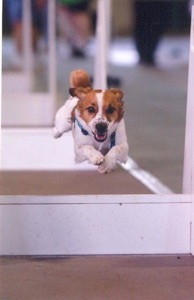 He made his flyball debut at the HJJ tournament in November 2003. He was just supposed to do warmups but due to injuries to his teammates, he actually competed and earned his FD, FDX and FDCH. At HJJ in 2004, he earned his FM. In keeping with tradition, Archie earned his Onyx at HJJ two years later in November 2006. When it came time to decide when Archie would retire from competition, it only made sense that his last race would happen at HJJ. Archie also enjoyed swimming, retrieving sticks from the water, hiding behind my printer or under my bed and annoying Ziggy. Archie was helped to the bridge on March 9, 2016. 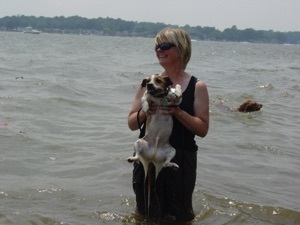 In December 2009, Rudy became the newest rescue dog to earn his Onyx. He was loved by Billie and Mel.